Big Crowd? We've Got You Covered. Amazing Steaks and Friendly Service. 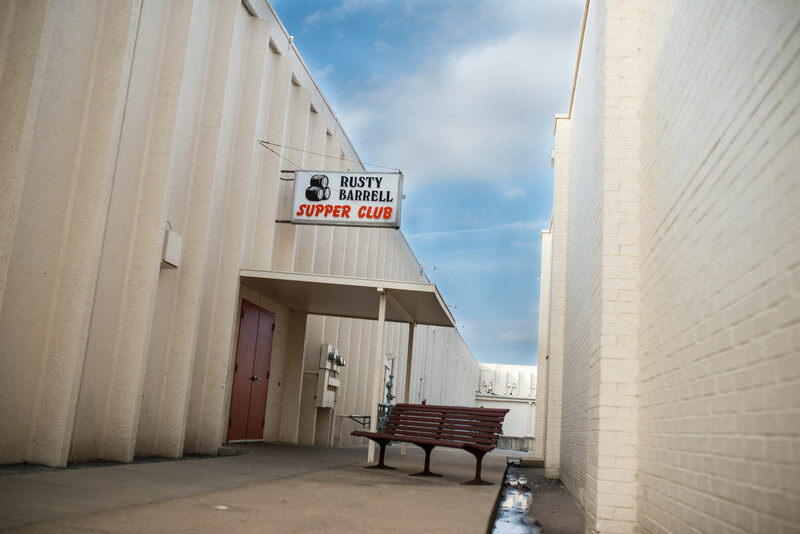 Our goal is to serve the finest steaks with the friendliest service in the warmest atmosphere to you, our customers. 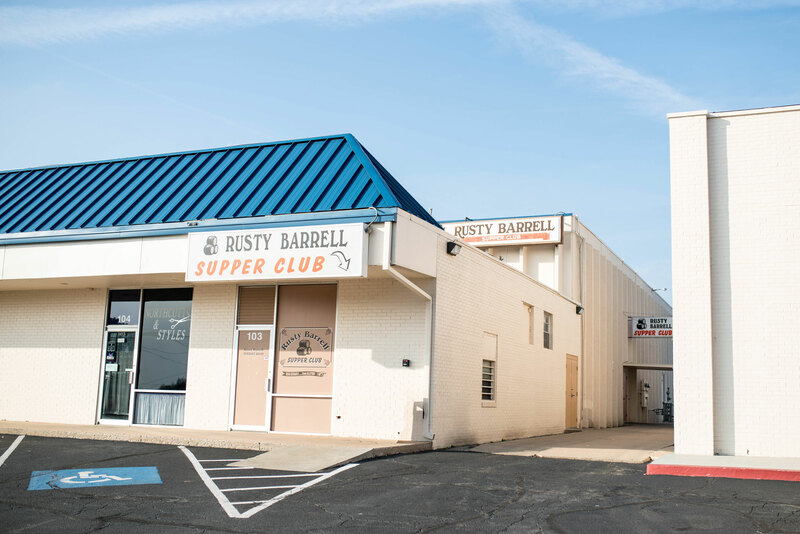 The Rusty Barrell Supper Club was opened for business in October 1974. The restaurant seated only two-dozen people, and patrons cooked their own steaks. Upstairs was a bar area with a small dance floor. To gain entrance you have to walk down the alley, go through the orange doors, and ring the bell. 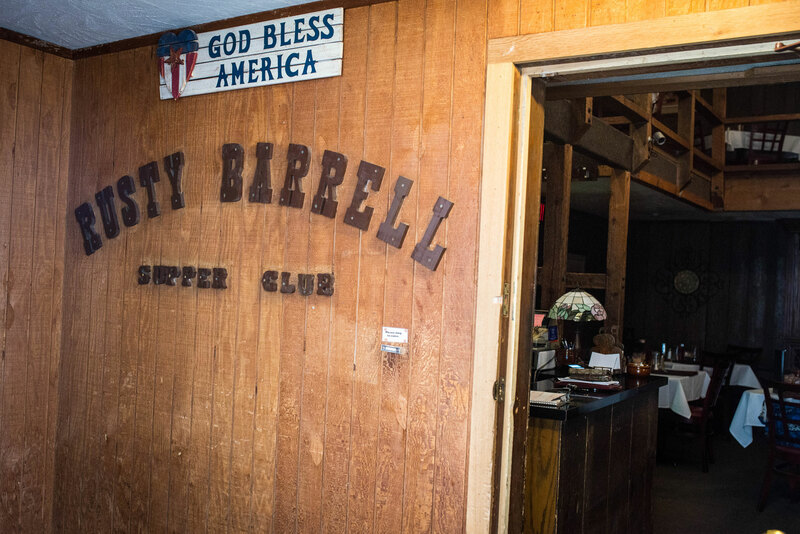 There was no liquor by the drink back in those days and so we operated as a private club where members stored their liquor bottles at the bar and we poured drinks for them from their nicely numbered bottles. We kept the door locked and installed a door bell just like the prohibition era speakeasies. Kay County passed liquor by the drink in 1985 but the door bell and Orange door tradition continues to this day. 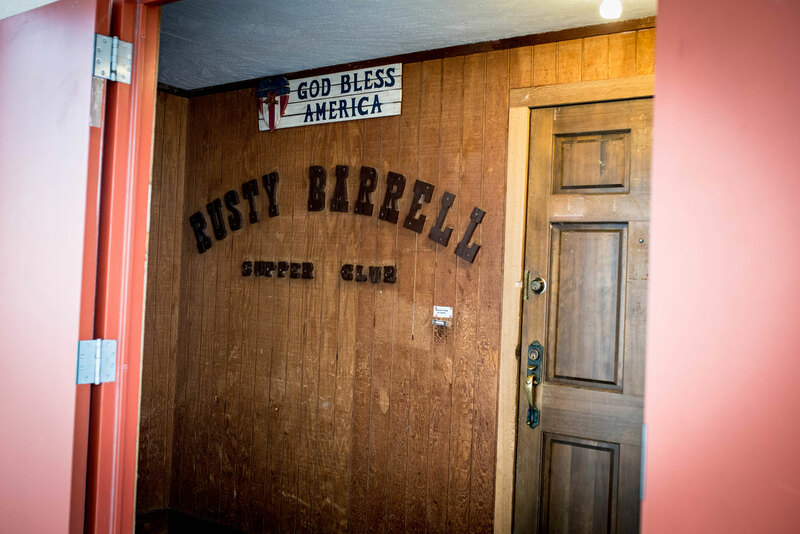 So come by and ring the bell and join us at the Rusty Barrell Supper Club! Time to Celebrate? Gift Cards Available. Thank you for thinking of us as a gift for someone important to you. We will take great care of your guest when they use their card. Rusty Barrell gift cards have no fees and never expire.